I had lunch with an old friend recently and she showed me her mother's stunning shell collection. Her mother passed away before we met in our first year of high school, so the shells that her mother picked up all those years ago are very dear to her. My friend asked my thoughts on how to display the shells. So here's to you Jules....better late that never I say!!!!! 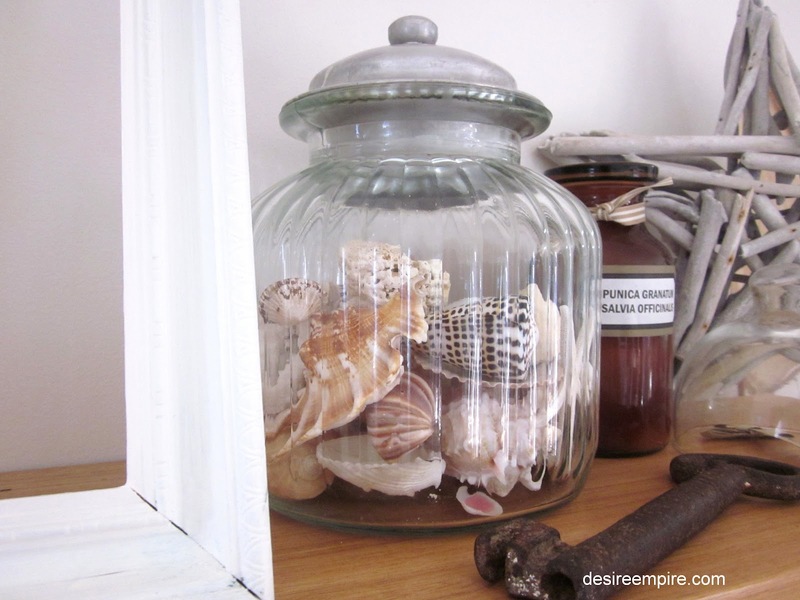 The first way I thought about displaying the collection, was in a fabulous biscuit jar, I picked up from Leah @ The Inside Story It's vintage looking and the embossed glass give an interesting effect to the shells. If you don't have one of these, any glass jar will do, lid or no lid. Your shells will still look fabulous. 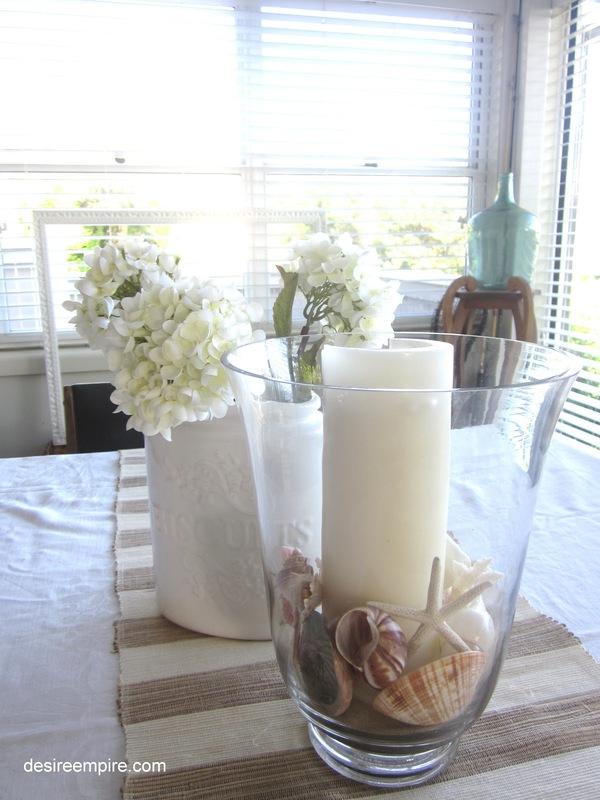 Then I thought about the other vessels I had, which looked beachy and would be great to hold shells. 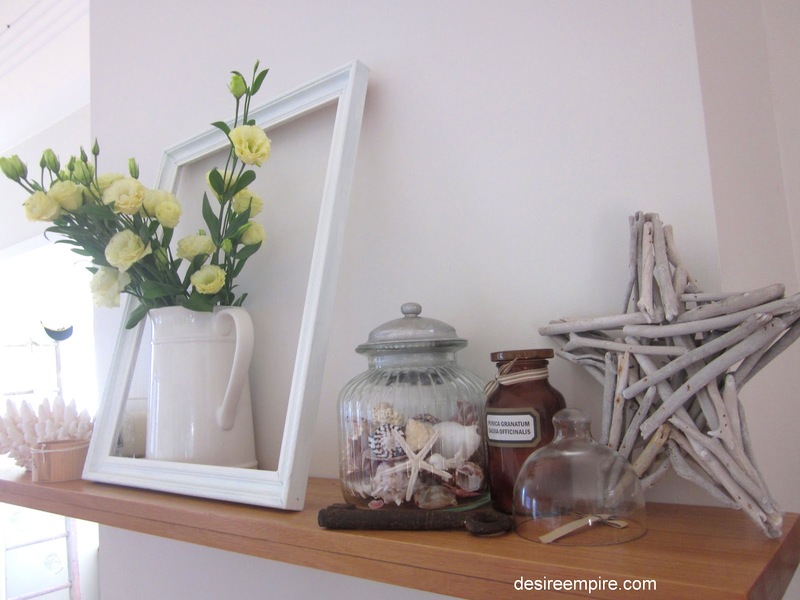 These wooden vintage pieces are often available at charity stores or garage sales. 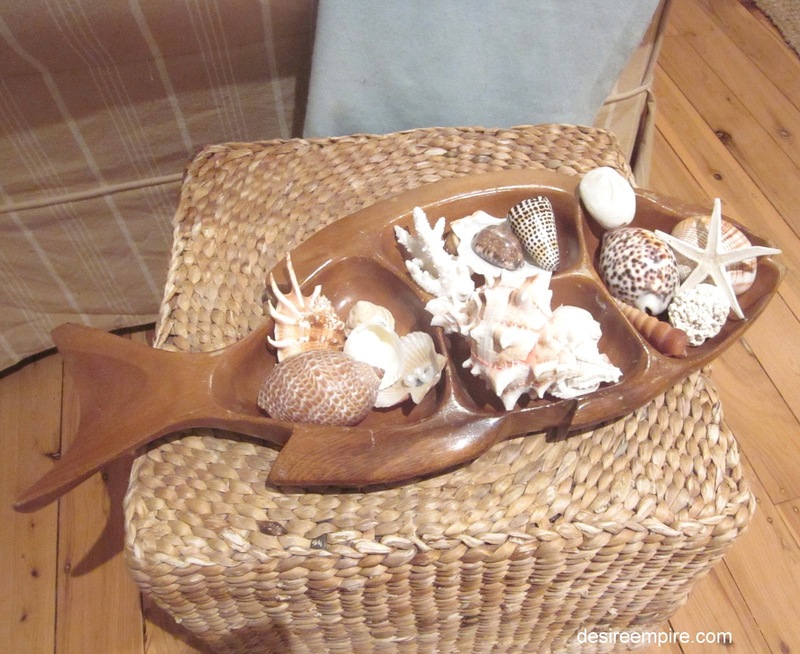 And then a wooden fish which reminds me a little of a printer's tray. It's been sitting in a draw for six months since the School Fair last Spring . 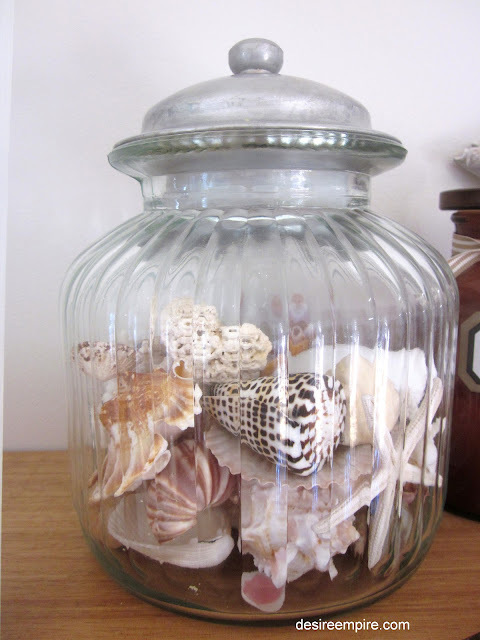 It cost a couple of bucks and would be great for any beachy collection. Then there's the old faithful cloche, for that high brow scientific look....... This look would last 5 minutes on my deck, with The Beach House Brats often banished to this part of the Beach House, particularly on wet days. But you dear reader, may be in that enviable position, that I often dream of, where your darlings no longer swing from the chandeliers trashing everything in their path. If so, spare a thought for me, a very house proud mama who is constantly thwarted by the attempts of her kiddos, to keep anything intact for more than 5 minutes. But if I should be so lucky, I would lay it out on some coastal greens for a tropical vibe. 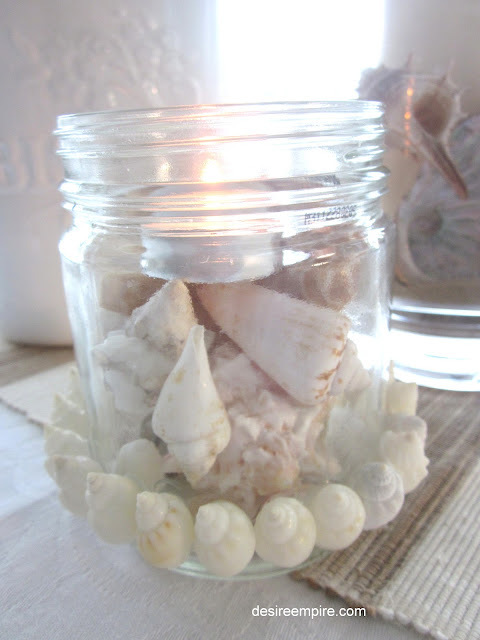 Lanterns are an ab fab way to show off your shell collection. Stick to the $2 stores for these, as they get rather exxy in the Beachy retail outlets. You can certainly do this look for under $20 if you shop around. 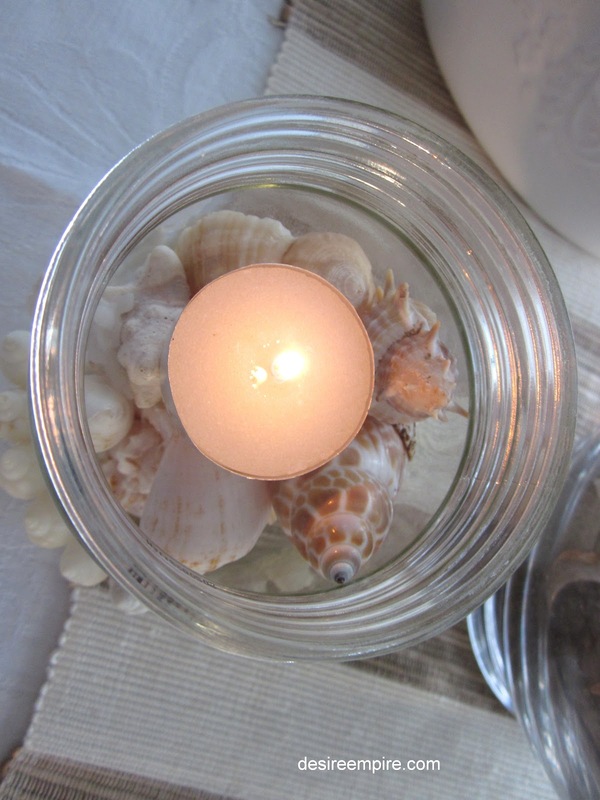 Stack up small glass jars with shells and stick a tea light on top for a hot Summer night on the deck. Mr Beach House looks 10 years younger in this kind of light and I must say it doesn't hurt my complexion one little bit either. It's all about illusion, these days gals. 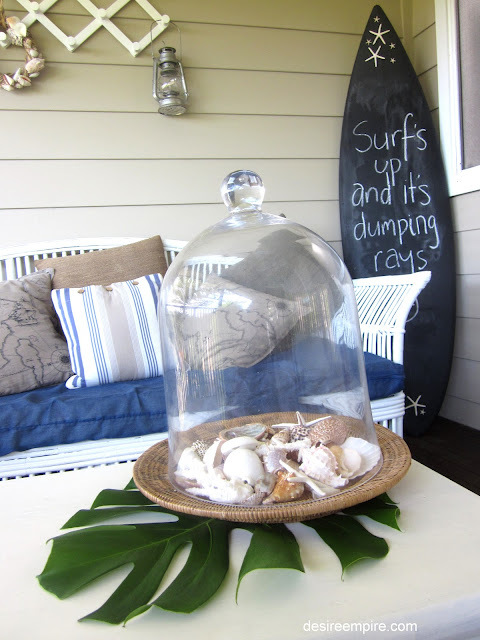 So my beachy friends, when styling with shells, think outside the square. Let me know what you do with these gorgeous little pieces of art, provided by nature. To all those lovely friends who said they had missed me in my absence, thank you and remember if I go MIA again, I'll still be here, posting away and wondering who is out there!!!!! Thanks so much for stopping by I do so appreciate you. Makes me long for summer and the beach! Your mantel and tabletops are terrific! The shells make me long for the beach! Thank you for sharing at Potpourri Friday! Your participation is always appreciated! 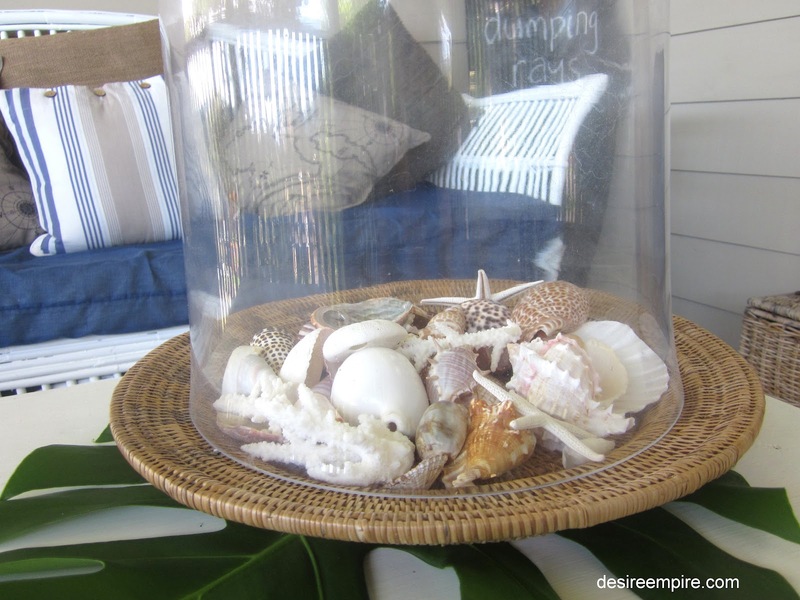 Hi Carolyn, So many great ideas for displaying sea shells! I love the ways you displayed them! 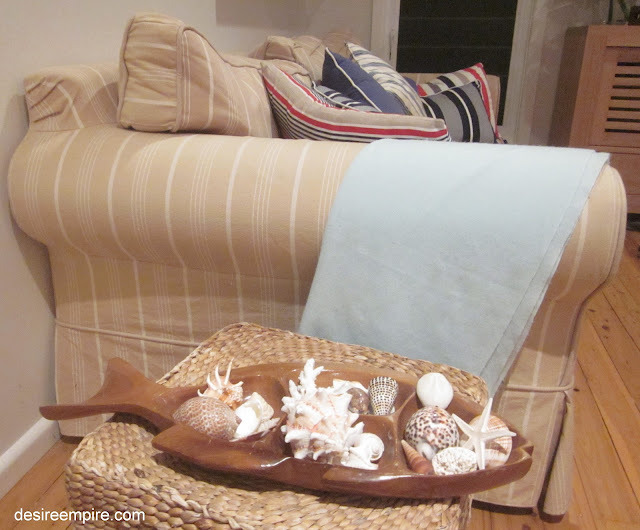 Shells are everywhere in my house, along with driftwood. :) I love your jar that you made, so cute!!! I have not missed most of your posts because I signed up to get your blog by e-mail. I love the biscuit jar(love the jar) idea. My favorite from this charming post. 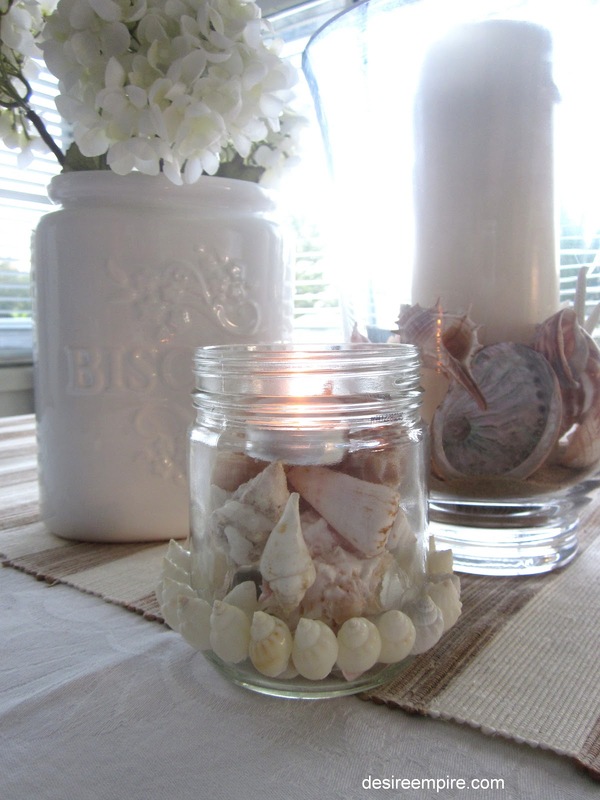 I love all these fab ideas for seashells. I collect them every time I go to the beach! I'm going to have to share this with my mom! She is always looking for ways to display all of her shells at the condo! I'd love it if you would come share it at my Link Party! I'm on my way back from a vacation, which included time on the beach. I can't wait until I get home to put some of my shells on display! Carolyn, so many beautiful seashell things. Love them all. Hugs and wishes for a beautiful day. P.S. I hope you will stop by and say hello and enter the latest giveaway too. Love all the shells. Beautiful. Found you from Ask Anna's link party. Love these ideas - thank you for sharing. Such beautiful displays! Great to have you be a part of Seasonal Sundays. I love your decorating style. I'm a new follower from the networking blog hop. The shells are so beautiful. 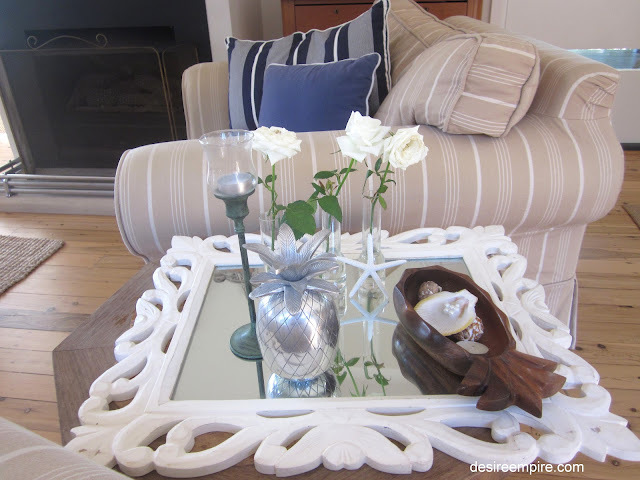 Very inspiring nautical theme.